Weight: 26.51 g., 33 mm. 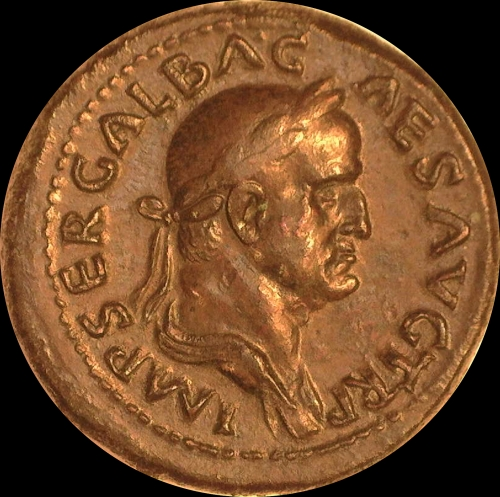 Galba, AE Sestertius, Rome mint, August-September 68 AD, 26.51 g., 33 mm. Obv. Laureate and draped bust right, imp ser galba caes avg tr p, Rev. 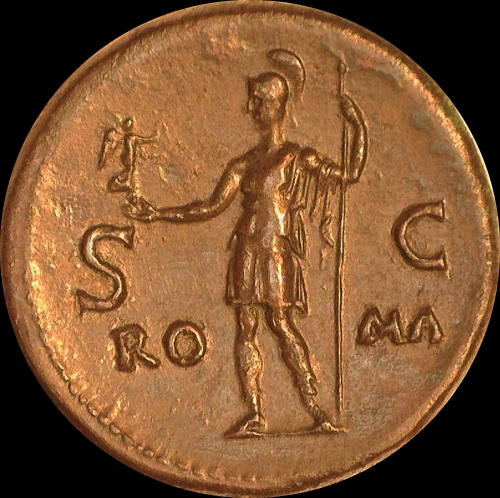 Roma standing left holding Victory and spear, s c in field, roma in lower field. RIC 358; BMC p.321; C 189 Very close to Extremely Fine w even brown patina. Very Rare. $9K. Provenance: ex Baldwin 2 March 1937 $9K.